Last weekend decided to upgrade to the new Seven, and appart from some minor incompatibilities solved, I can assure it works fine. Well, guess there will be flying Xi2528's everywhere. Mine is soon through the window to. The installation is all good, but when I restart there is no boot. Only a blinking cursor. Currently I am trying with the older JMicron drivers supplied on the official support page. Should not make a difference, but one has to try everything. Not sure I understand the part about the AMILO DRIVERS DVD. Have not found such a disc. What does it do ? Do I need to have it ? Guess I have to go down the basement and find the box and see if there is such a disc. W7 Ultimate x64 works like a charm now, wheeha. Thought I was going to spend the whole weekend fighting W7 vs Amilo. You dont even get to see the HDD's ? Is your USB stick available when/if you get to the browse part ? Or is the installation not even starting ? Works for me using a USB flash drive. I don't know if all of this information will apply to every Xi2528 model but it works for me, and I hope it works for you too. 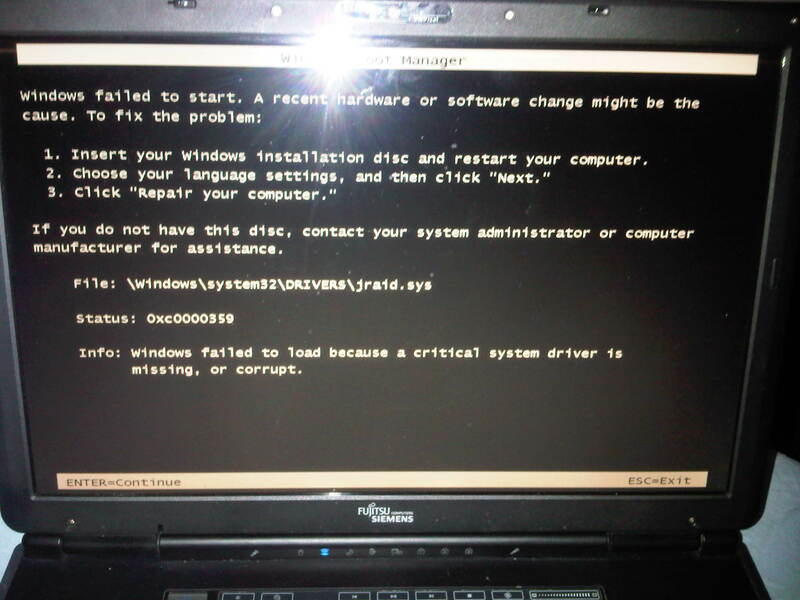 Info: Windows failed to load because a critical system system driver is missing, or corrupt. I have tried again and again but it´s always the same problem. Which one am I supposed to choose? "To continue installation, use the Load Driver option to install 32-bit abd signed 64-bit drovers. 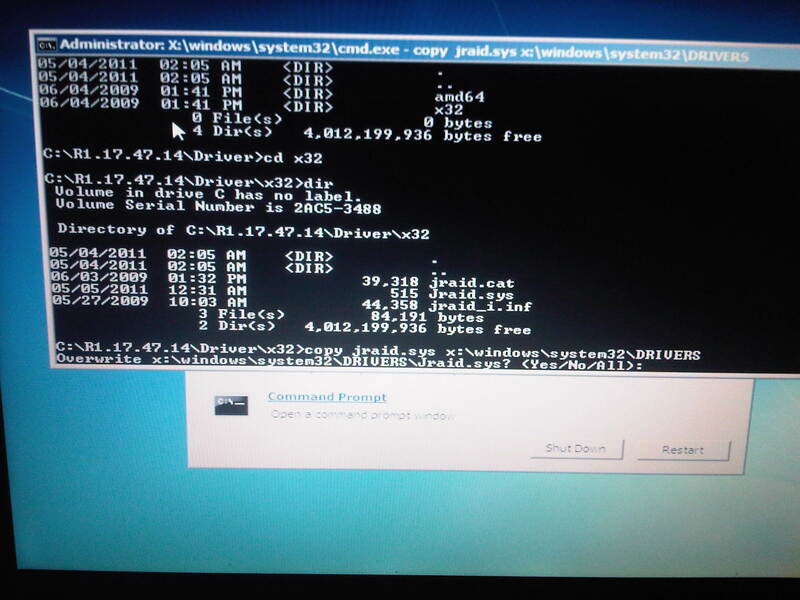 Installing an unsigned 64-bit device driver is not supported and might result in an unusable Windows installation." Despite this, all the partitions show up, so I guess it still works..? And in the beginning of the installation, will I choose to install x64 or x86?